I have listened to Matilde Capuis' works for cello and piano, including five sonatas. At 103 years of age, she could well be the oldest recorded and performed living composer today. 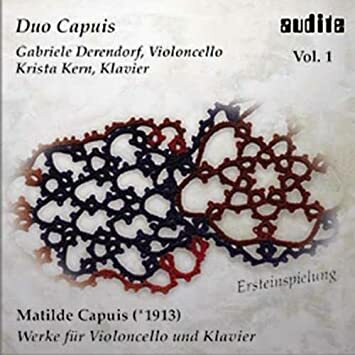 Capuis had a long performing career in a pianist/cellist duo and thus devoted much of her composing efforts to that format. She also taught music at the university of Turino. Her idiom is extremely conservative, almost 19th-century sounding to my ears. I detect some early 20th-century French influence but almost like a romantically cautious Debussy's sonata for cello and piano. - Symphony no. 6, Semper Reditus, op. 112 (1996), Orquesta Sinfonica de Chile, Francisco Rettig (October 2009). Anecdotal: Orrego Salas, whose music does sound neo-classical at times, got to meet Stravinsky as a high school student, when the composer visited his country. Stravinsky looked at his socks and asked him where he had purchased them and even touched his socks. He asked the boy to take him to that store and, on their way, he talked about ties, he loved ties. They never exchanged a single word about music. An expensive opera studio recording! This is something we haven´t seen in a long time, and in the case of Aida, not since Harnoncourt´s recording of 2001. Fortunately Pappano has better suited singers than Harnoncourt. Anja Harteros may not have a Milanov voice, but she is never less than competent and often sings beautifully, one or two notes apart in O Patria Mia. But we have heard far worse in the past decades, and she doesn´t shame herself as Freni, Ricciarelli and Gallardo-Domas did in their respective recordings. Kaufmann too delivers the goods and he is much more careful with his vocalizing than in other recent recordings. Warner provides generous acoustics and wide ranging dynamics in Rome´s new concert hall. Pappano has the measure of the score, his conducting is both elegant and idiomatic, he accommodates his singers and is attentive to their needs, but he never lets the music slack. Among digital recordings the Levine is obviously better sung, but that is already 25 years old! So, do we need another Aida? I think we do, and there are beautiful things here. Three volumes of solo flute music, 96 pieces, and it's not repetitive. Composed between February and September 1944, when Koechlin had isolated himself from the war. The three volumes are thematically organized with the first being about a celestial figure, a rebellious angel's reactions to humans and the tragedy of humanity (philosophical), the second about a sacred forest, not far from the sea (escapism from reality), and the third, with its many prayers -- by the sick, the children, the wife whose husband has gone to war, the orphans, for the dead-- all of which is counter-balanced with joyful dances (e.g., father returning from war), about 1944 realities. Not many people would listen to three consecutive hours of solo flute music but Koechlin, in his infinite wisdom, found a way to connect it all into one coherent, even pleasant, work. I have that on my CHristmas list: good to know your positive opinion! 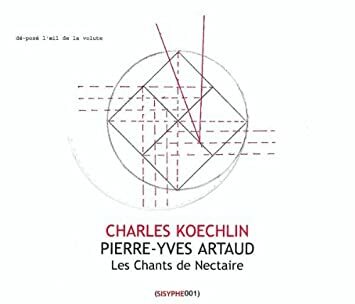 In one sense, this magnificent CD offers a logical coupling of two Koechlin works. It is perfectly consistent with the story of Docteur Fabricius to match it with an earlier work called Vers la voute étoilée (Towards the starry sky). On the other hand, I'm thinking that, given that story, it did not make sense to precede Docteur Fabricius with Vers la voute étoilée. Once again, the isolated Koechlin during WWII wrote the music to Docteur Fabricius with a pretty obvious message of hope for his listeners, but that hope comes at the end of the story. Koechlin's uncle had written the short novel called Docteur Fabricius in the 1860s. The principal character is a learned philosopher, or metaphysician, who had completely given up on the world and its ideals and sought refuge in an old abandoned, remote monastery where he neglected his very appearance (like Koechlin's). When the narrator of the story drops by for a long-promised visit, Fabricius is anti-social and, after dinner, gives his host a long monologue about how humans are pawns of nature, fooled by their own idealism and illusions. Philosophy is nothing more than a learned exercise in all these foolish illusions. After all the gloom and doom, the narrator takes leave into his small monastery bedroom and, opening the window in quest of fresh air, stares at a gorgeous "voute étoilée." The final movements of this symphonic poem --"nature, life, hope," "man's response," "joy," "final choral" in celebration of life-- are Koechlin's answers to the gloom and doom of World War II: find hope in nature. -Oratorio for Voices and Orchestra on the Words of Shakespeare, op. 35. There's much confusion in the virtual media, such as youtube, about the search name "Bunin." Some youtubers have uploaded works by Vladimir Bunin as those of Revol'd Bunin. Both of these composers were contemporaries and Vladimir, as an educator at the Moscow conservatory, is the author of symphonies 1 and 2, not Revol'd. There's no recording of Revol'd's symphonies 1, 2, 3, 4, 7, 9 and 10. The big difference between these two Bunins is Revol'd's creative writing. He is truly the artistic son of Shostakovich. To last year's radio broadcast of F. David's "symphonic ode" Christophe Colomb, now uploaded on youtube. This work, first performed two years after his Désert, also proved a great success. In a 1847 Revue Musicale review of Christophe Colomb, it is pretty obvious that David was no less appreciated than Berlioz, albeit with the acknowledgement that David was more skilled at composing charming, poetic, evocative and exotic music than dramatic one. His second ode-symphonique is a 80-minute work in four parts --the departure, a tropical night, the rebellion, and the New World. The inventor of this oratorio with narrator form, David excelled in the construction of the symphonic, narrative, solo and choral sections. I especially enjoyed the choral sections of this work. His contemporary critiques were right to point out that he was not the best composer of dramatic music, failing for example to more fully develop the storm scene at sea (in act 2) and to build the tension in the rebellion scene (act 3). But Berlioz himself could not have outdone David in his fantastic depiction of Native Americans dancing on the beach (act 4) or his touching aria of the Indian mother singing to her baby. The libretto of Christophe Colomb testifies both to the Christian values and misrepresentations of its time. I listened to the work reading the original libretto and some changes had to be made for today's performance, such as a reference to Spaniard swords harvesting the turbans. The finale, portraying Colomb as a preacher of indigenous rights and equality between all men is, of course, a great (and bloody) falsehood. This François Xavier Roth performance was recorded and, like David's opera Herculanum, it should soon be available on CD. Félicien David has indeed been enjoying an outing lately. 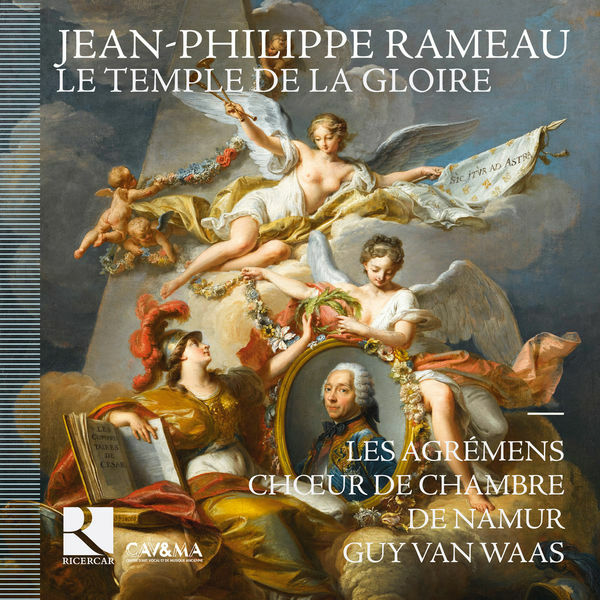 His opera Herculanum show us a very different composer from the one in Le Désert, perhaps a more traditional one, but never less than interesting. The recording is good, both Véronique Gens and Karine Deshayes are outstanding, the tenor somewhat less so. Hervé Niquet, better know in Baroque repertoire, conducts with vigor and élan. 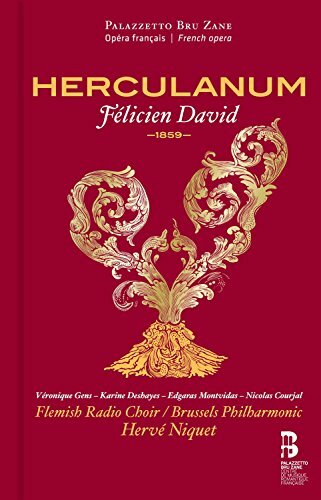 I don´t think Herculanum will ever enter the standard repertoire, but it´s enjoyable and furthers our knowledge of XIX Century French opera besides Gounod, Berlioz, Bizet, Delibes, Laló and Massenet. What are the chances of seeing two major recordings of the same opera these days? Nézet-Seguin continues with his Mozart cycle, and his Abduction just may be the best of the lot so far. It just bursts with joy. There are of course period manners with minimum vibrato and crystal clear articulation. The Chamber Orchestra of Europe as expected, plays splendidly, and his cast live up to their reputations, Diana Damrau a natural Konstanze, and Villazón in better voice than in the previous recordings, manages Belmonte with surprising ease. But this is really Yannick´s recording, his love and care for the score are priceless. René Jacobs is also a seasoned Mozart conductor, and his recordings of Cosi and Figaro are already landmarks in the discography. As in his Zauberflöte, he has the inestimable cooperation of the wonderful Akademie für Alte Musik who play like gods. His Konstanze is young American soprano Robin Johannsen who earlier this year made a lovely Caldara recital for DHM. She gives everything she has to the role, the high notes are firm and splendid, the low notes maybe not so much, but guided by Jacobs her portrayal is very satisfying. The Belmonte is Maximilian Schmitt, a name new to me, he has an attractive and lyrical voice that can cope with the demands of the role, the only thing missing is a little more individuality, maybe a more distinctive timbre we can remember later. Julien Prégardien, the Pedrillo, is surely on his way to become an outstanding Belmonte. The Osmins on both recordings are good, but neither could compete with a Gottlob Frick or a Kurt Moll. I really enjoyed both recordings, both have a lot to offer, and even if the competition is formidable from Beecham to Gardiner, still both deserve a warm welcome. Last edited by josé echenique on Tue Nov 03, 2015 5:59 pm, edited 1 time in total. 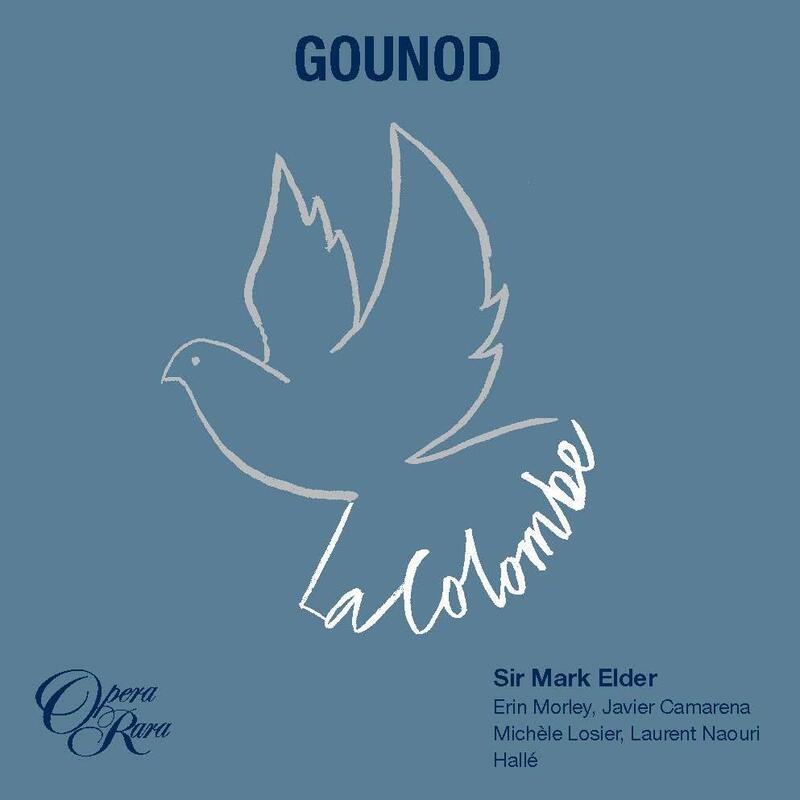 A lovely opéra-comique from Gounod, the kind of discovery one expects from Opera Rara. Lovingly conducted by Mark Elder and beautifully sung by Camarena, Morley and Naouri. Nicholas Angelich is a young, prolific (3 pages on Amazon already) recording artist, and this may be one of his finest sets. Brahms's late Opp. 116, 117, 118 and 119 have not TMK been recorded before as a complete set, yet this 2 disc (for the price of 1) shows Angelich at his best. Brahms was a master of the miniature, and these short pieces show Brahms at his best. Five stars, with a caveat that I return to this disc set frequently, and I believe you will too. 8 CD Brilliant set Rossini: The Five One Act Operas--I Filarmonici di Torino (D 1, 2) English Chamber Orch. (CDs 3-8), Marcello Viotti, cond.--licensed from Claves Records, Switzerland. Singers; Valeria Baiano, sop CD 7 | Maria Bayo, sop CDs 5, 6 | Luca Canonici, tenor, CDs 1,2. | Natale de Carolis, bass-baritone, CDs 1, 2, 3, 4, 5, 6, 8. | Maurizio Comencini, tenor, CD 7 | Alessandro Corbelli, baritone, CDs 3, 4. | Francesco Facini, bass, CD 7 | Amelia Felle, sop, CD 8 | Katia Lytting, mezzo-sop, CD 2 | Fulvio Massa, tenor, CDs 2, 3, 4, 5, 6 | Patricia Orciani, sop, CD 1, 2 | Bruno Patrico, baritone, CDs 1, 2, 7 | Fabio Previati, baritone, CDs 5, 6, 8 | Francesca Provvisinato, mezzo-sop, CDs 3, 4, 5, 6 | Teresa Ringholz, sop, CDs 3, 4 | Alessandra Rossi, sop, CD 7 | Danilo Seraiocco, CD 8 | Bruno de Simone, baritone, CD 7 | Pietro Spagnoli, baritone, CD 1, 2 | Ramon Vargas, tenor, CDs 3, 4 | IorioZennaro, tenor, CDs 5, 6, 8. All 5 of these one act operas were composed in the period 1810-12 and all premiered 1810-13 at the Teatro San Moisè in Venice. at the very beginning of Rossini's composing career. Per Wikipedia: " These types of short pieces were popular in Venice at the end of the 18th century and the beginning of the 19th century. The pieces were intimate, with a cast of five to seven singers, always including a pair of lovers, at least two comic parts, and one or two other minor roles. The style called for much visual comedy improvised by the players. As compared to many genres of opera, acting and comedic talent is more important relative to the required singing ability. Rossini’s farces also have a significant sentimental element." CDs 1-2........Il Signor Bruschino (p. 1813) (83'30)--rec. Oct, 1988, Scuola di Alto Perfezionameno Musicale Saluzzo, Torino, Italy. The action takes place in the 18th century at Gaudenzio's castle in France. "Sofia and Florville are in love, but her guardian, Gaudenzio, opposes the match. Florville's father and Gaudenzio are old enemies. Florville's father dies, removing one barrier, but Gaudenzio has already agreed to wed Sofia to the son of his old friend, Signor Bruschino. Sofia has never met her fiancée, as they were betrothed by correspondence. On his way to meet Sofia, young Bruschino stops at a tavern, runs up an impressive bill and is detained when he is unable to pay. Seizing the opportunity, Florville pretends to be Bruschino junior so that he can marry Sofia. Complications arise when Bruschino senior arrives at Gaudenzio's house. Fortunately, however, he is eventually forced to accept Florville as his own son. In a playful trio, Florville (as Bruschino junior) begs his 'father' for forgiveness, while Gaudenzio upbraids old Bruschino for his lack of fatherly sympathy." This is wonderful music. For the first CD, it is mostly gentle, quiet music which presents few challenges to the singers from a vocal range point of view, but which do require precise ensemble singing in duos, trios and quartets, a challenge I am pleased to say these singers meet admirably. In the second part, it becomes apparent that the two best singers in this production are two women--soprano Patrizia Orciani, who plays Sofia, and mezzo Katia Lytting, who plays Marianna. Much lovely, lyrical music, without a lot of flourishes and displays. The tapping on the music stands could have been done with a wooden block; it doesn't sound out of the way at all. Recommended. CDs 3-4........La scala di seta (The Silken Ladder} (p 1812) (86'45)--rec. 13-15 Oct 1992, Rosslyn Hill Chapel, London. Wikipedia plot synopsis: "Time: 18th Century. Place: Paris. The opera opens in the morning. Owing to the attentions of Giulia’s cousin Lucilla, and the family servant, Germano, Dorvil has great difficulty making his escape by his usual method. Blansac is due to arrive at any minute in his quest to win Giulia’s love, but she has devised a scheme to divert his amorous attentions towards her cousin, who would make an excellent wife for him. There is general surprise and joyful amazement when it is Dorvil who climbs into the bedroom, followed closely by his friend who is intent on using the silken ladder to further his wooing, not of Giulia, but Lucilla. Everyone scatters when Dormont, who has been woken by all the noise, enters in his nightshirt. Seeing the way that everything has turned out for the best, he quickly forgives the couples for their underhand behavior and all ends in general rejoicing." This performance is thoroughly delightful; it has absolutely no weak singers or instrumentalists. But personally, I find Teresa Ringholz as Giulia particularly good, and I regret that she appears only in this opera in this series. She is a graduate of the Eastman School of Music in Rochester, NY, and after twenty years in Europe she has returned to the US to be a Vocal Instructor at the Syracuse University Department of Drama. I became a fan of hers after hearing a CD she did a number of years ago featuring some Sigmund Romberg songs, and she has appeared in the NAXOS release of Gluck's Alceste. But this whole production sparkles and all participants seem dedicated to the goal of delighting their audience. They have certainly delighted me. CDs 5-6........L’occasione fa il ladro, ossia Il cambio della valigia (Opportunity Makes a Thief, or The Exchanged Suitcase) (p. 1812) (84'45)--rec. 18-24 Feb 1992, Rosslyn Hil Chapel, London. "During a storm, three travellers take refuge in an inn in the country. Alberto has been betrothed to a woman whom he has never met, and is on his way to meet her. Don Parmenione, accompanied by Martino, is trying to trace a friend’s sister, who has disappeared. When the storm is over, Alberto leaves, accidentally taking Parmenione’s luggage with him instead of his own. Martino opens Alberto’s suitcase and discovers, among his papers, a portrait, presumably of the bride-to-be. Parmenione decides to masquerade as Albert and claim the bride for himself. "At Don Eusebio’s house, Ernestina, who has fallen on hard times, agrees to extend her stay and take on the role of Berenice’s companion. Berenice, worried about marrying a man whom she has never met, asks Ernestina to pretend to be her. She herself will meanwhile play the role of a maid, so that she can observe Alberto and decide whether she is prepared to marry him. Parmenione, accompanied by Martino, now announces himself as Alberto and pays court to the disguised Ernestina, notwithstanding that she is not the lady in the portrait. The two are attracted to each other. "Alberto himself arrives, and meets the pretended maid, Berenice. A mutual attraction also springs up between these two, but Berenice is disconcerted to learn that Alberto has apparently already arrived and can prove who he is, whereas this man has no papers to identify him. The real Alberto and the imposter each try to convince Eusebio that they are who they say they are, and Berenice, who knows which one she would rather marry, subjects Parmenione to a severe cross-examination. He is eventually forced to admit his deception. Berenice can now marry Alberto and Parmenione can marry Ernestina – who turns out to the woman he was trying to trace, the sister of his friend. And the portrait in Alberto’s luggage? It was of his own sister, to be given to Berenice as a wedding-present." Okay. No real villains here. No one is defeated or dies. Everyone is happy at the end of this charming little comedy of manners. The score offers few opportunities for individual displays. Not much in the way of grand arias, to say the least, but heaps and heaps of ensemble singing. In fact, it could be used almost as an etude to teach advanced students the art of ensemble singing. I wonder of any academics are using it for that purpose? I wrote the above after listening to CD 1 only. CD 2 is a bit different. Opportunities for soaring vocal solos abound. Well, not so much for the male voices, but for the two women, especially, and they acquit themselves flawlessly. The 8'16 Finale, however, has plenty of ensemble singing. CD 7............. La cambiale di matrimonio (The Bill of Marriage or The Marriage Contract) (p 1810) (77'50)--rec. 77'50)--rec. 20-23 Aug 1990, all Saints Churh, London. "The servants Norton and Clarina discuss a letter which has arrived for their master, Tobias Mill, regarding an impending marriage contract from a Canadian businessman, Slook, who is due to arrive later that day. Mill enters, flustered from calculating the distance from the Americas to Europe, and orders the household to prepare for Slook's arrival, including the readying of his daughter, Fanny, whom he intends to marry off to the foreigner. After everyone leaves, Fanny arrives with her lover, Eduardo Milfort; their love has been kept a secret from Mill due to Eduardo's poor financial status. Norton enters and informs the lovers of the impending marriage contract, but their conversation is interrupted by Mill's entrance as the carriage arrives bearing the Canadian. "Slook enters harassed by the servants who are trying to take his coat: he is clearly unaccustomed to European greetings. Mill encourages Slook to talk to Fanny and to get to know her, but she remains quite hostile, trying to express her disinterest in marrying him with many "but's". However, she is soon joined by Eduardo, and they both threaten to cut out Slook's eyes and puncture his veins. Slook departs to the safety of his room, Fanny and Eduardo to other quarters, as Clarina and Norton return. Before Slook comes back, Clarina expresses her experiences with love and, then upon his return, Norton informs him that the goods he is interested in acquiring are already mortgaged. "Infuriated by this contractual double-crossing, Slook refuses to buy Fanny and tells Mill this. However, he refuses to give a reason fearing retribution from the lovers. Mill then threatens Slook with the prospect of a duel for refusing to carry through with the contract he has incurred. Having encountered three people who wish him dead within hours of his arrival in London, Slook prepares to leave and, when he returns from packing his belongings, he sees Fanny and Eduardo embracing, catching them red-handed, but they tell him about Mill's business-managerial sentiments toward marriage and of Eduardo's poor financial status; Slook responds by promising to make Eduardo his heir so that Fanny may be his. "Mill returns and prepares for his duel, although he fears that, if he dies, it may reflect poorly upon his reputation in the market. Slook reveals himself and clandestinely replaces a pistol with a peace pipe which Mill grabs, not realizing what it is. As they head to the field of battle (Slook armed with a pistol, Mill with a pipe), the ensemble rushes in and tries to convince Mill to give up the financial pretensions. Finally Slook convinces Mill to allow the couple to marry and all ends happily." This is a balanced opera. 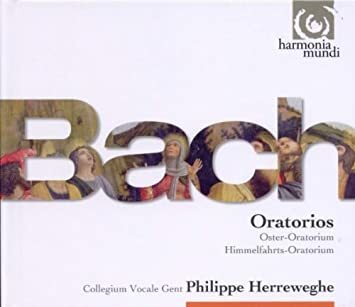 By balanced, I mean both lots of arias and lots of ensemble singing, but the female roles seem to predominate, as they do in most of these works. The quality of the singing is really exceptional in all the roles. CD 8.............L'inganno felice (The Fortunate Deception)-- (p. 1812) (79'44)--rec. 18-24 Feb 1992, Rosslyn Hill Chapel, London. Per Wikipedia: "Rossini called this opera a farsa, although as Richard Osborne explains: 'Its designation as a farsa is misleading in the light of its semiseria status as a romantic melodrama with buffo elements.' The work has much in common with French Revolutionary operas such as Cherubini's Les deux journées." Unlike some of the other works in this box, it was an instant success and was performed at many other theaters in Italy within a year or two of its premiere. Again, from Wikipedia: "Before the action begins, the villainous Ormondo was in love with Isabella, who was happily married to Duke Bertrando, but, when she rejected his advances, Ormondo spread vicious rumours about her reputation and bribed Batone into casting her adrift in a boat on the sea. However, she was rescued by a local miner, Tarabotto, who then disguised her as his niece, Nisa. Place: A seaside mining village in Italy. The opera begins ten years after her rescue. Duke Bertrando is due to visit the mines. Isabella, who is still in love with her husband, finally reveals her true identity to Tarabotto who promises to help her. The duke arrives with Ormondo and Batone. The duke is still in love with his wife even though he believes the rumours that she had been unfaithful to him. Batone catches sight of "Nisa" and realises she is Isabella in disguise. He plots with Ormondo to abduct her that night, but Tarabotto overhears their plan. Before they can kidnap Isabella, the two villains are unmasked and "Nisa"'s true story is revealed when she shows everyone her duchess' clothes and a portrait of the duke she has kept with her. Bertrando and Isabella are reunited." This performance is of a piece with all the others. Superb casting, smartly and precisely and passionately conducted orchestra. This whole set is wonderful and urgently recommended. Glorious needless to say, there hasn´t been a recording of this masterpiece since Malgoire´s 1975 version for CBS, never released on CD by the way, but this new Ricercar recording is in a different league. Les Agrémens are a model of refinement and elegance, and Guy van Waas should be considered Frans Brüggen´s heir, he is THAT good. Partenope is perhaps not among Handel´s top 5 operas [Giulio Cesare, Rodelinda, Alcina, Ariodante and Orlando] but it must be number 6. This adorable romantic comedy has had several fine recordings, including the early Sigiswald Kuijken version in DHM. 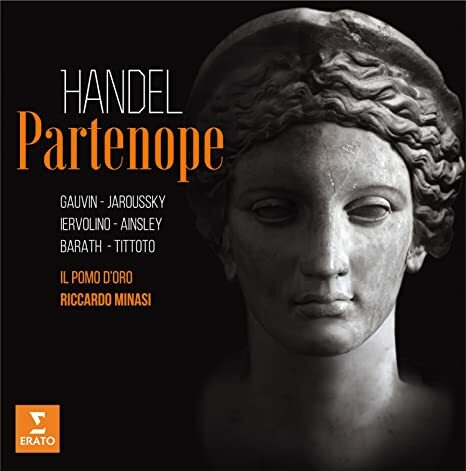 This new ERATO recording has excellent contributions from Karina Gauvin, Philippe Jaroussky and Teresa Levorlino, all singing splendidly. Il Pomo d´Oro who took over from Il Complesso Barocco, plays magnificently under Riccardo Minasi. Recorded sound is state of the art and comes with a big, beautiful libreto. This should be in your Christmas stockings. These are early and middle period works. They are unfailingly pleasant. bright, cheerful works with an optomistic tone and lacking in profundity. Except perhaps for the last movement scherzo in the 1820 sonata, they do not seem to present much of a challenge to the abilities of intermediate skill musicians. But listen if you want something bubbly to cheer you up. CD 2--Works for cello and piano, Claude Starck, cello, Christoph Eschenbach, piano, rec Sep 1985 Tonhalle Zurich, Switzerland. Mendelssohn seems to have a much deeper level of commitment and emotional involvement in these cello works than he did in the violin sonatas. These are works of substance with considerable emotional depth. The last movement of the D Major sonata is marked "molto allegro e vivace" and explores thematic material to which Mndelssohn returned time and again in a number of other works. Other permutations of this material later became associated in the public mind with Groucho Marx, who used it for comedic purposes. CD 3--Tr. 1-6 rec 1978 Sudwest-Tonstudio, Stuttgart, licensed from Bayer Records. Tr. 1-3.....Viola Sonata in C Minor (1823-24) (23'40)--Ulrich Koch, viola, Roland Keller, piano. Tr. 7-10...String Quartet in D Major, Op. 44/1 (29'19)--Bartok Quartet, licensed from Hungaroton, rec. dates and location not noted. These works are artfully constructed and their thematic dev elopment is sophisticated and in the classical tradition. The Viola sonata is sprightly and light-spirited, the clarinet sonata more subdied. The quartet announces itself brashly and grabs the attention of the listener and never lets go. This last seems to me the best work on the disc, but all three are well worth hearing. CD 4--2 string quartets. The English String Quartet, Diana Cummings, violin 1, Colin Callow, violin 2, Luciano Iorio, viola, Geoffrey Thoimas, cello. Rec 1988 @ Church of St Edward the Confessor (C of E), Mottingham district, borough of Bromley, London. A few words about the location of this recording. I had never heard of Mottingham, and sort of assumed at first it must be a typo and that Nottingham was what they meant. But no. I checked on Mottingham, on Google, and found at Wikipedia that it is a district in the London Borough of Bromley. I found a picture of the church, and a map of it on Google Earth. It is not an old church, having been built in 1957. Its two blocks from a Domino Pizza place. The 1st movement of the E Minor is incorrectly labelled as lasting 1'45; actually, it is 10'46. Both of these quartets sound like they might have been written by Mozart if he had lived as long as his wife (Constanze lived until 1842). The only exception is the third movement of the E Flat Major, in which we hear premonitions of the musical nationalism that would pervade the musicof such as Dvorak, Bartok, and Kodaly. CD 5--3 works for string quartet. Sharon Quartet, rec. 2002 Hervormde Kerk Room. The Netherlands. The Op. 12 quartet is Mendlssohns first string quartet. Paradoxically, though, only the second movement sounds classical in the strict sense. The others have a more romantic tinge; the first movement, to me at least, sounds almost Schumanesque in its melancholic angst. Per Wikipedia, The String Quartet No. 6 in F minor, Op. 80 was composed by Felix Mendelssohn in 1847. It was the last major piece he completed before he died two months later on 4 November 1847. He composed the piece as an hommage to his sister Fanny who had died on 17 May of that year and it bore the title "Requiem for Fanny." Op. 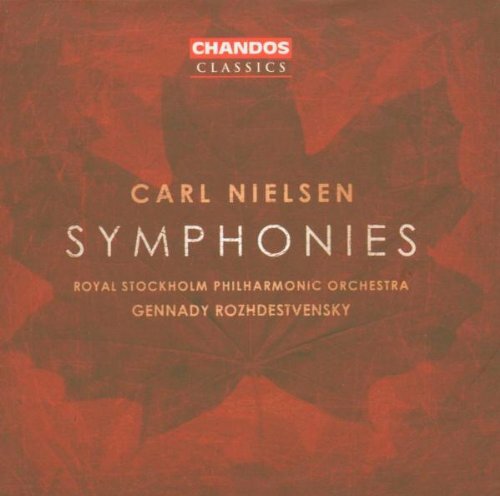 80 puts in high relief both Mendelssohn's mastery of classical forms and his determination to extend the emotional range of his music beyond the restrained style that many consider essential to classicism. The first movement is particularly striking in that it has a number of passages in which the cellist predominates and has a lot to do. The Op. 81 pieces have an etude quality about them. They sound, esp in the first movement, like exercises for the players--simple melodies, but slightly different in each instrument so that practicing ensemble playing is part of what it trues to teach. Tr. 1-4....String Quartet in A Major, Op. 13 (23'34)--Sharon Quartet, rec. 2001 Hervomde Kerk Room, The Netherlands. Tr. 5-8....Piano Quartet in B Minor, Op. 3 (23'48)--rec 1996 St. George's, Bristol by The Schubert Ensemble of London--William Howard, piano, Simon Blendis, violin, Douglas Paterson, viola, and Jane Salmon, cello. Lic. from ASV Records, UK..
Tr. 9.......Konzertstuck in F Major for clarinet, bassethorn, and piano, Op. 113 (8'18)--Rainer Schumacher, clarinet, Gerhard Albert, bassethorn, Roland Keller, piano. Lic from Bayer Records, no venue or recording date provided. All three of these works are fast paced, for the most part, and played with great elan by these ensembles. CD 7--Tr. 1-8 rec St George's Brandon Hill, Bristol & lic from ASV Record, UK. Tr. 9 lic. from Bayer Records, no recording date or venue listed. Tr. 1-4.....Piano Quartet in C Minor, Op. 1 (1822) (27'19)--Schubert Ensemble of London, personnel listed in CD 6 narrative. It is interesting that Mendelssoh's first three published works were all piano quatets. This Op. 1 was dedicated to Prince Antoni Radziwill, so it is obvious that Mendelssohn was already travelling in some pretty well-heeled circles. Tr. 5-8.....Piano Quartet in F Minor, Op. 2 (1823) (27'40)--Schubert Ensemble of London. This work was dedicated to Mendelssohn's teacher, Carl Friedrich Zelter. Tr. 9........Konzertstuck in F Major for clarinet, bassethorn, and piano, Op. 114 (9'31)--same personnel as on Op. 113 on CD 6--lic from Bayer Records, no recording date or venue listed. All three of these works are meticulously crafted works performed here with passion and dedication; listening to them was a great joy. CD 8--Performed by Sharon Quartet with Petra Vahle, viola 2, rec 2002 Hervormde Kerk Rhoon, the Netherlands. These works are well performed here, and are typical of Mendelssohn in that they demonstrate a sophisticated mastery of traditional classical development techniques. Onl the most basic information is available on Wikipedia. CD 9--Klaviertrio Amsterdam, Klara Wurtz, piano, Joan Berkhemer, violin, Nadia David, cello, re. 1999 Hervormde Kerk Rhoon, The Netherlands. Klara Wurtz, the pianist, is definitely the star here; the other two are able accompaniests. Again, we find Mendelssohn in absolute copntrol of his idiom with a thorough understanding and display of classical forms and techniquest , but in a early romantic context. CD 10--rec. 1996/7 Hervormde Kerk, Rhoon, The Netherlands. Tr. 1-4.....Piano Sextet in D Major for piano, violin, 2 violas, cello, & double bass, Op. 110 (31'59)--Dalia Puziel, piano, Gil Sharon, violin, Ron Ephrat, viola, Liisa Tamminen, viola, Alexander Hulshoff, cello, Jean Sassen, double bass. Tr. 5-8....Octet in E Flat Major for strings, Op. 20 (32'15)--Amati String Orchestra. Both of thr above 2 CDs are performed by top-notch artists, and are a worthy addition to the library of any fan of Mendelssohn's chamber music. Klara Wurtz is the Guiomar Novaes of her generation. Vastly underrated, she has a tone and empathy for Mozart & Mendelssohn that just knocks my socks off. Schubert also. Grab any recordings of hers you find! Some end-of-year impulse prompted me to re-listen to the above disc, and I'm happy I did. There was a fuss about this recording when it came out in 2009, and frankly it has stood the test of time. 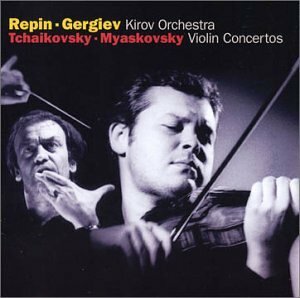 Gergiev rarely gets it right in my book, but here he does just fine, ably acompanying the first-class virtuoso Vadim Repin in both the popular Tchaikovsky concerto and the gorgeous Miaskovsky rarity. A fine disc from start to finish! maestrob wrote: Klara Wurtz is the Guiomar Novaes of her generation. Vastly underrated, she has a tone and empathy for Mozart & Mendelssohn that just knocks my socks off. Schubert also. Grab any recordings of hers you find! I agree, she is magnificent. New Year's concerts always feature Johann Strauss' Blue Danube Waltz, so I decided to begin 2016 with a variation of this: Adolf Schulz-Evler's "Arabesques" on the Blue Danube. 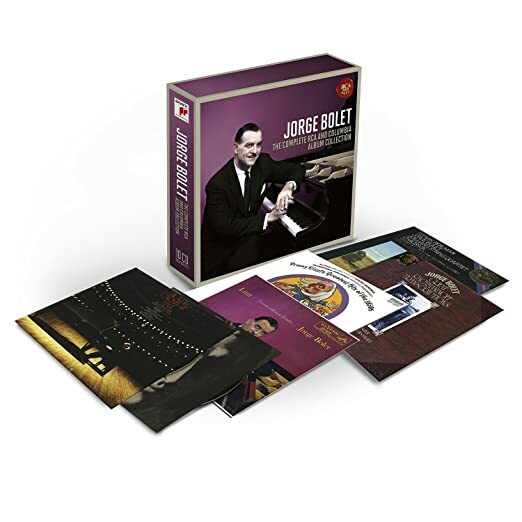 Lots of piano virtuosos have recorded this, but my favorite version can be found on CD 2 of the album, Great Pianists of the 20th Century - Jorge Bolet. Most of this album is taken from Bolet's astounding 1974 Carnegie Hall recital. The program included a magnificent rendition of Chopin's 24 Preludes, and a breathtaking selection of hyphenated works, such as the Bach-Busoni Chaconne, the Wagner-Liszt Tannhauser Overture, the Kreisler-Rachmaninoff "Liebeslied" and "Liebesfreud," and the work described above. The album should be entitled "How to Play the Piano" or maybe "How to Perform a Piano Recital." Granted, these hyphenated showpieces are not works of intellectual profundity, but they are prime examples of the possibilities of the piano. In the hands of a master--and Bolet demonstrated his utter technical mastery here--they are enormously appealing musical experiences. However, Bolet transformed these to exceptional musical experiences by his exuberant and extroverted approach to these pieces. It was a great way to begin 2016. Ricordanza wrote: New Year's concerts always feature Johann Strauss' Blue Danube Waltz, so I decided to begin 2016 with a variation of this: Adolf Schulz-Evler's "Arabesques" on the Blue Danube. 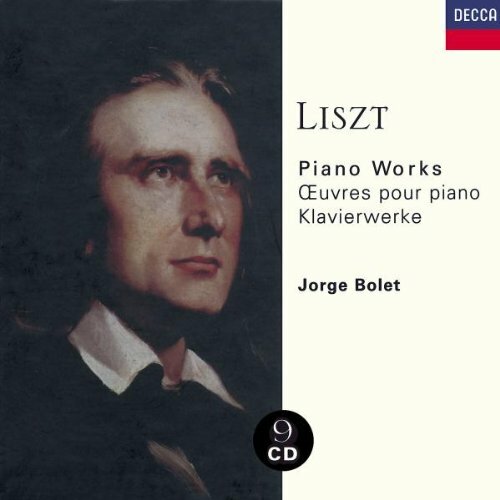 Lots of piano virtuosos have recorded this, but my favorite version can be found on CD 2 of the album, Great Pianists of the 20th Century - Jorge Bolet. That's one of my favorite piano albums of all time. Bolet had a special way with Liszt & Rachmaninov, no question. He also recorded 9 discs for London that are outstanding in my book as well as his recordings for RCA......Full disclosure, Bolet was a client of mine at the NYAC. 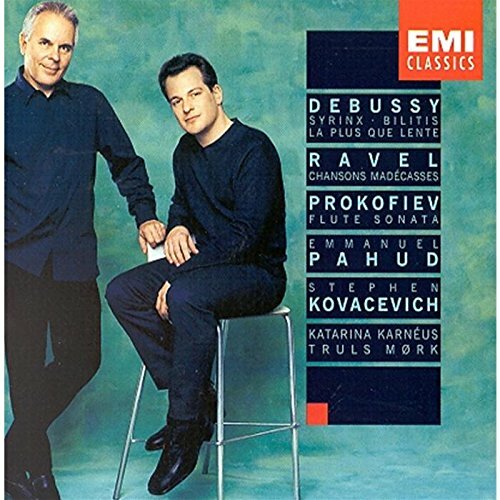 Emmanuel Pahud's thrilling disc of rare repertoire by Debussy, Ravel & Prokofiev thankfully has not disappeared from view 10 years after its initial release. Pahud's range and virtuoso technique bring out subtleties in the music, while his partners (Kovacevich, Mork and mezzo Katerina Karneus) provide scintillating interpretations of this difficult repertoire. The highlight of the disc is a perfect rendition of Ravel's Chansons Madecasses, in a collaboration to be celebrated. The Prokofiev Sonata makes for a fine wrap-up in this stunning recital. Pahud has technique to burn, yet he makes it all sound so effortless. Five stars! 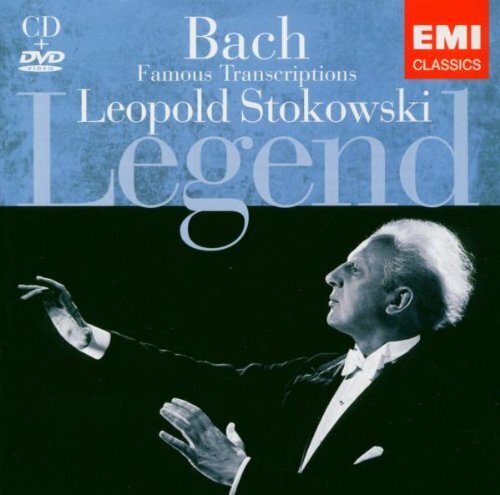 Have been listening to a lot of Gardiner's HIP Bach, & thought I'd take a break and return to the old master that kept Bach alive and before the public during the years when Stokowski's orchestral transcriptions were the only way we got to hear Bach on a regular basis in the concert hall. These renditions are as far away from modern taste as one can get, but there is a stunning beauty to them that is timeless. 8 CD Decca set 478 2364 Brla Bartok: Complete Solo Piano Works--Zoltan Kocsis, piano--rec. Friedrich-Ebert-Halle, Hamburg. In the life and career of Bela Bartok, we have one of those opportunities to trace influences through almost two centuries. From Wikipedia: From 1899 to 1903, Bartók studied piano under István Thomán, a former student of Franz Liszt, and composition under János Koessler at the Royal Academy of Music in Budapest. In 1907, Bartók began teaching as a piano professor at the Royal Academy. This position freed him from touring Europe as a pianist and enabled him to work in Hungary. Among his notable students were Fritz Reiner, Sir Georg Solti, György Sándor, Ernő Balogh, and Lili Kraus. It should be borne in mind that Bartok never taught composition at the Academy, although he is today considered, along with Franz Liszt, to be one of the two greatest composers Hungary has produced. He was, instead, a Professor or Piano. Many of the compositions on CD 1 specially the Bagatelles, have an etude quality about them: a progression from easy to more difficult pieces intended at least partly as tutorials for his students. The other major theme in his work as a composer was to seek inspiration from the folk music and dances of Hungary and other central and eastern European countries. In fact, he is considered one of the principal founders of the field of ethnomusical studies. Allegro barbaro, BB 63 (Sz. 49), composed in 1911, is one of Béla Bartók's most famous and frequently performed solo piano pieces. The composition is typical of Bartók's style, utilizing folk elements. The work combines Hungarian and Romanian scales; Hungarian peasant music is based on the pentatonic scale, while Romanian music is largely chromatic. The Suite, Op. 14, Sz. 62, BB 70 is a piece for solo piano written by Béla Bartók. It was written in February 1916, published in 1918, and debuted by the composer on April 21, 1919, in Budapest. The Suite is one of Bartók's most significant works for piano, only comparable with his 1926 Piano Sonata. Though much of Bartók's work makes frequent use of Eastern European folk music, this suite is one of the few pieces without melodies of folk origin. However, Romanian, Arabic, and North African rhythmic influences can still be found in some movements. Originally intending the suite to be a five-movement work, Bartók later decided against the idea and discarded the second movement, the Andante, later publishing it in the October 1955 issue of Új Zenei Szemle (New Musical Review). These, of course, are mostly fairly basic piano exercises for beginning and intermediate students of the piano. Paradoxically, some of the more complex of them are right at the beginning, but throughout they are laced with simple, charming, often folk-derived melodies. The first two and probably the third work on this list were composed in 1926, just after the beginning of the interwar period as the Admiral Horthy regime began to settle into the governance of the new, reduced, but separate and independent Hungarian state. The liner notes say the following: "His piano style took on a harder edge, influenced by the rhythmic manner of Italian keyboard music and counterpoint of the 17th and 18th centuries, as immediately announced in the uncompromising drive of the Sonata and the opening piece of the "Out of Doors" Suite, "With drums and pipes.'" Old Italian keyboard music? Perhaps. But the percussiveness of some of these pieces, and the First Piano Concerto from the same period, the most radical of his three progressively more tonal concerti, sound to me like they might have been influenced by the Soviet Futurists of the 1920's. Karoly Mocsari, second piano--tracks 43, 44, 56, 68, 74, 95. Marta Lukin, mezzo-soprano--tracks 65, 74, 95. These are mostly short, percussive pieces, pleasant enough, but, to me at least, of no great moment. CD 8--(76'38)--rec. Aug 1988 and Aug 1999. Others have done the complete Bartok solo piano canon, most notably Gyorgy Sandor of sainted memory. But for virtuosity and modern sound. Zoltan Kocsis can't be beat. This is the set to have. Decided to revisit this set after about ten years of neglect, and how fresh and electrifying Norrington's Beethoven sounds to my ears. Norrington concentrates on articulation, especially on each stroke of the kettle drums, which make these performances deeply interesting and energizing. I keep hearing original details here and there: a crescendo, a diminuendo, crystal clear articulation, all working to perk up my ears, coupled with fine discipline in the ensemble. Because of the flexibility of the original instruments and the lightness of touch, their capabilities allow for clean articulation at faster tempi than we're used to with modern instruments; it all makes for first class, original interpretation. 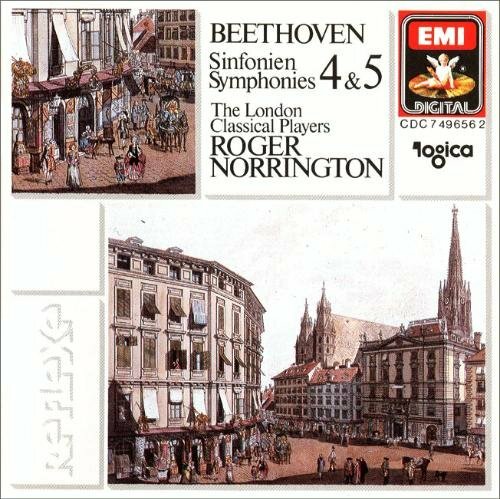 The only symphony I'm not comfortable with in this set is IX because of Norrington's conducting decisions here and there, but overall this is a magnificent achievement. I got a couple of those records when they came out, because of the ballyhoo in The Gramophone, and heard him conduct a Beethoven concert with his period orchestra at about the same time. Knowing me, you won't be surprised that to my ears, Norrington's is a two-dimensional (i.e. flat) view of Beethoven, merely hard and fast. If I want that kind of Beethoven (I rarely do), I'll take the best of Toscanini's recordings, studio and live; his tempos in fast movements aren't notably slower, the articulation of the NBC Symphony is not slovenly, and at least they're passionate, not merely driven. I read somewhere that when Norrington rehearsed the Clevelanders, the woodwinds greeted his directives with flatulence. I think his bloodless LvB Ninth on EMI is a travesty. I pitched it. jserraglio wrote: I read somewhere that when Norrington rehearsed the Clevelanders, the woodwinds greeted his directives with flatulence. I think his bloodless LvB Ninth on EMI is a travesty. I pitched it. Agree with you about the Ninth: he makes bad decisions throughout especially the final movement, but I find the timbre of the others fascinating. Sure, Toscanini is great, no question, but Norrington has some interesting ideas too. I collected many of Harnoncourt's and Norrington's Telefunken LPs of early music when they first came out and still listen to them. A good while back I bought a mono cassette recording of Thurston Dart's 1958 recording of the Bach Brandenburg Concertos. Around the same time i got the vinyl recording of the set conducted by Menuhin. At the time the Menuhin version was regarded as superior. Well, I finally downloaded a remastered stereo recording of that set by Thurston Dart, and I'm by no means as certain as i was those years ago that it is at all inferior to the Menuhin version. Dart's approach is filled with a wonderful spontaneity and freshness. And there is something to be said for his use of the higher brass in Concerto no 1. I think it runs the Menuhin performance very close indeed. This recording was the first choice on this morning's BAL on BBC Radio 3 and very good it is too. This is a hugely enjoyable performance. 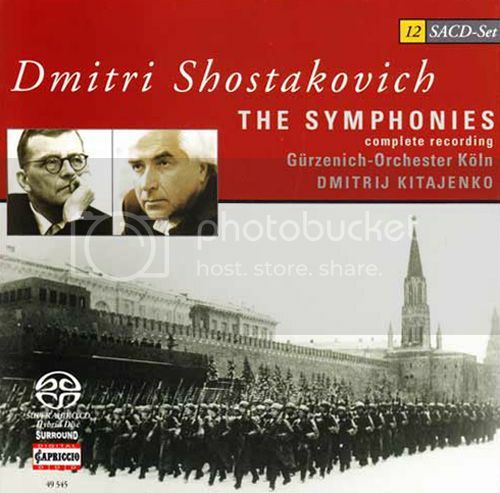 Bernstein was a marvellous conductor of Shostakovich's music. Marvellous performance, I love it. A very fine self-published cycle on the web. Copland premiered his opera The Tender Land at City Opera in the early 50's, but didn't get to record a cut version until about a decade later with the NY Philharmonic. I grew up with that recording, and produced several concert versions of the opera during the 1990's. Tender Land is the quintessential American opera, along with Susannah by Carlisle Floyd. Copland's masterpiece, however, in its original recording remained out of print since its original LP release in 1963, until it was finally issued on CD in 2000. Copland captured the deeply human drama of a midwestern farm and how the family there is affected by the appearance of two strangers who join them to bring in the harvest. This is one of Copland's best recordings, the voices are ideally American reflecting the characters. It's a great recording: you should not be without it. RebLem wrote: Others have done the complete Bartok solo piano canon, most notably Gyorgy Sandor of sainted memory. But for virtuosity and modern sound. Zoltan Kocsis can't be beat. This is the set to have. In my opinion one single set will not do in this music. So I think that one needs Kocsis, Sandor (the early Vox set preferable to the later Sony set) and the four CD incomplete Australian Eloquence set with Andor Foldes. Also the few pieces Bartok recorded himself (released by Hungaroton) are essential. Stehman's Symphonie de Poche and Chant Funebre (Remoortel). Dutch maestro Peter Dijkstra gets better and better. A cohesive, eloquent and very beautiful St. John Passion from Munich. The fabulous Bavarian Radio Chorus is a marvel, and so is the Concerto Köln.